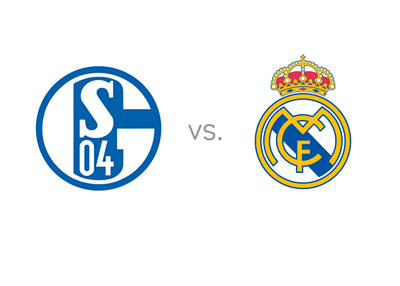 Real Madrid go into Tuesday's UEFA Champions Round of 16 clash with Schalke 04 in not the best of shape. A unconvincing 2-0 win over lowly Deportivo and a 0-4 trouncing at the hands of city rivals Atletico Madrid have left Los Blancos a shaken lot. Cristiano Ronaldo's lack of form, a lackadaisical midfield and a defense in tatters are some of the issues that are giving coach Carlo Ancelotti sleepless nights. Injury concerns plagued the club with players like Luka Modric, Jamie Rodriguez, Sergio Ramos and Pepe missing out on key matches. Despite these problems Real are still at the top of the La Liga table with 57 points although Catalan arch-rivals Barcelona are breathing down their necks being a just a point behind and in awesome goal-scoring form. Real can take heart from their brilliant performance in the Group stage of the Champions League. They won all their 6 group matches to garner 18 points, a feat rivalled only by Chelsea this season. The talismanic Ronaldo is the highest scorer in the tournament so far with 9 goals, a record in the Group stage. Schalke 04 on the other hand will see their forward ranks strengthened by the return of the talented 21-year old Julian Draxler from a brief injury spell. The presence of Dutch striker Klaas-Jan Huntelaar, attacking midfielders Kevin-Prince Boateng and Max Meyer should lend teeth to the Schalke attack and pose questions to a somewhat shaky Real defense at the Veltins Arena on Tuesday. But the key to Schalke's success would be the form of Cameroonian German striker Eric Maxim Choupo-Moting whose long strides and great dribbling skills have earned him 9 goals from 20 appearances for his club this season. Since the advent of Roberto Di Matteo as the club coach in October 2014, Schalke have been perceived as a better playing unit with a much more organized and unified defense and a more vigorous attack. But seriously their Bundesliga record suggests nothing of that sort. They are in the 4th position and a distant 18 points behind a towering Bayern Munich's 52. In their 21 League outings they have scored just 31 goals and taken in as many as 23. Contrast that to Real Madrid's 72 goals from just 23 games in the La Liga. Schalke got into the round of 16 of the Champions Cup by the skin of their teeth with just 8 points, far behind Group leaders Chelsea's 14. If the Germans are getting any illusions of a close encounter at the Veltins Arena, their return visit to the Bernabeu in March will in all probability be a whitewash. Even a Los Blancos below full form will be a handful for the German club. Lest one forget, Schalke were blanked out 9-2 on aggregate by the Spanish giants only a year ago at the same stage of the Champions league. Betting odds are heavily stacked in favour of Real Madrid.